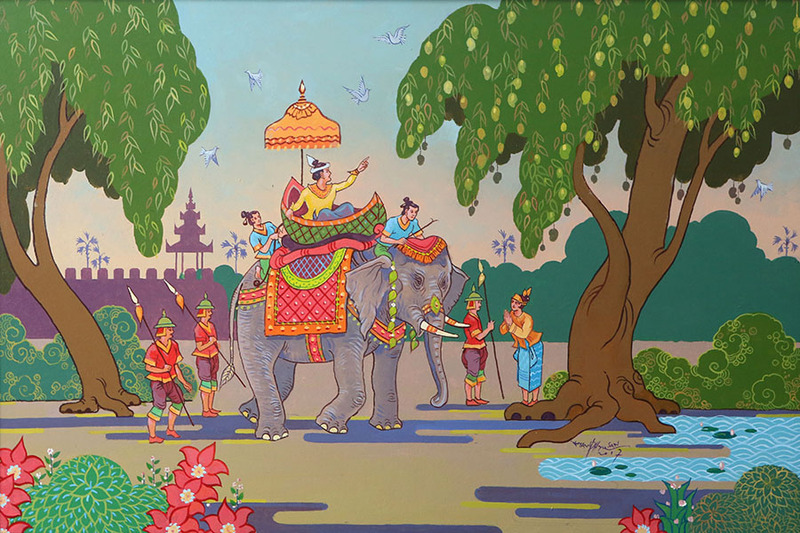 The ‘Enlightenment’ exhibition will be held from September 30 to October 9 at Lokanat Art Galleries in Yangon. Kyaw Phyu San is a devout Buddhist who rejoices in the teachings of Gautama Buddha more than 2,500 years after his death. 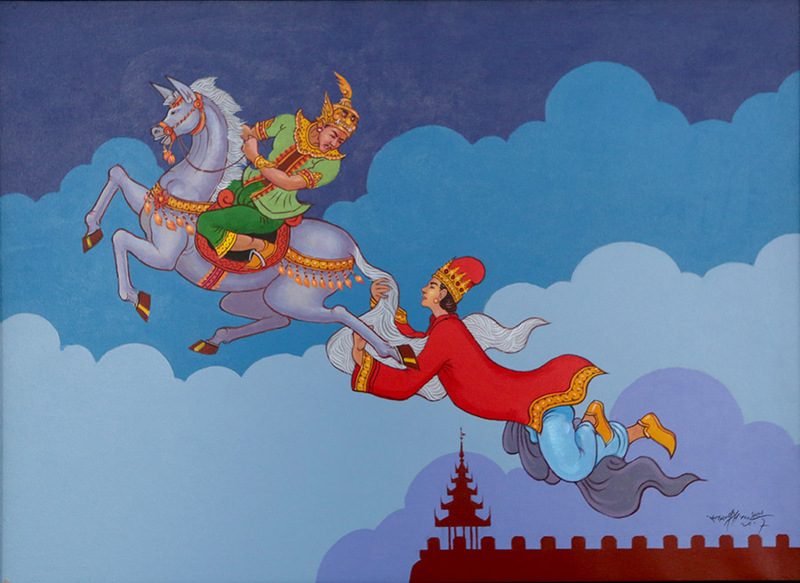 “He enlightened people as well as stabilized and pacified their minds,” said Kyaw Phyu San, who has made his name as an artist with his hit series about the Buddha and Dhamma—the teachings of Buddha. 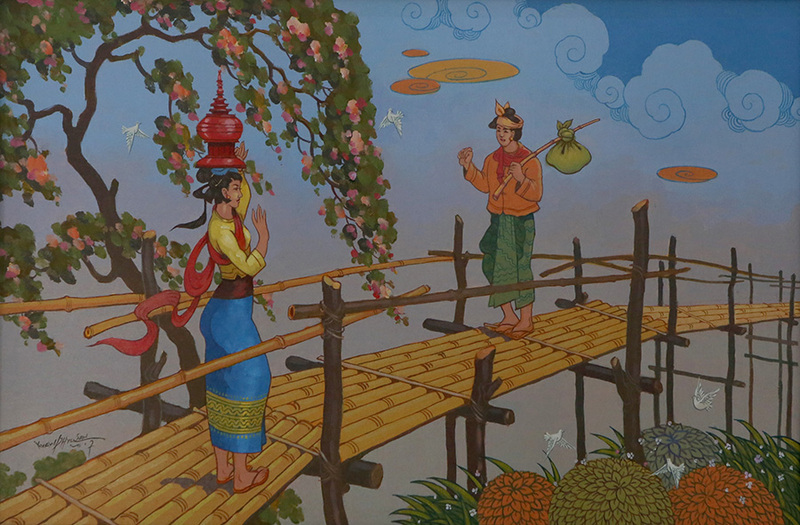 His sixth solo art exhibition ‘Enlightenment’ will be held from September 30 to October 9 at Lokanat Art Galleries in Yangon, and features works depicting Myanmar’s rural scenes as well as Jataka tales— narratives about the previous lives of the Buddha. 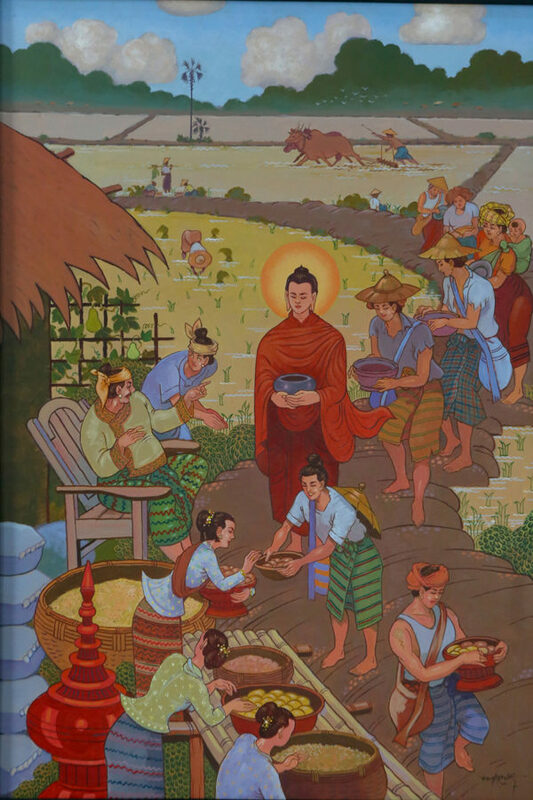 Born in Seikphyu in central Myanmar in 1953, Kyaw San Phyu has drawn the lives of Buddha and his teachings over the past 30 years. From 1990 to 1995, he illustrated for the best-selling comic series entitled ‘Ten Great Birth Stories of Buddha,’ which is about the 10 previous lives of Buddha. 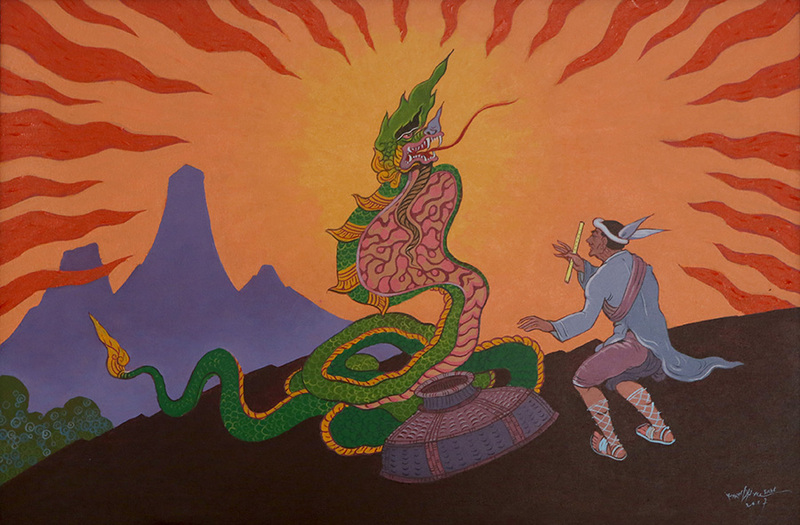 His illustrations have also appeared in books on Buddha’s lives published in a number of foreign countries. He organized his first solo in 1998. 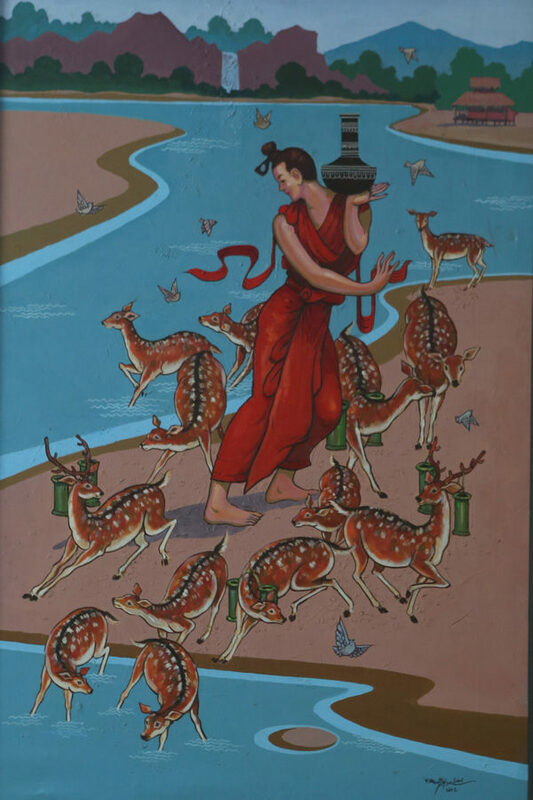 “The main subject of this exhibition is the 10 Jataka tales,” he said. 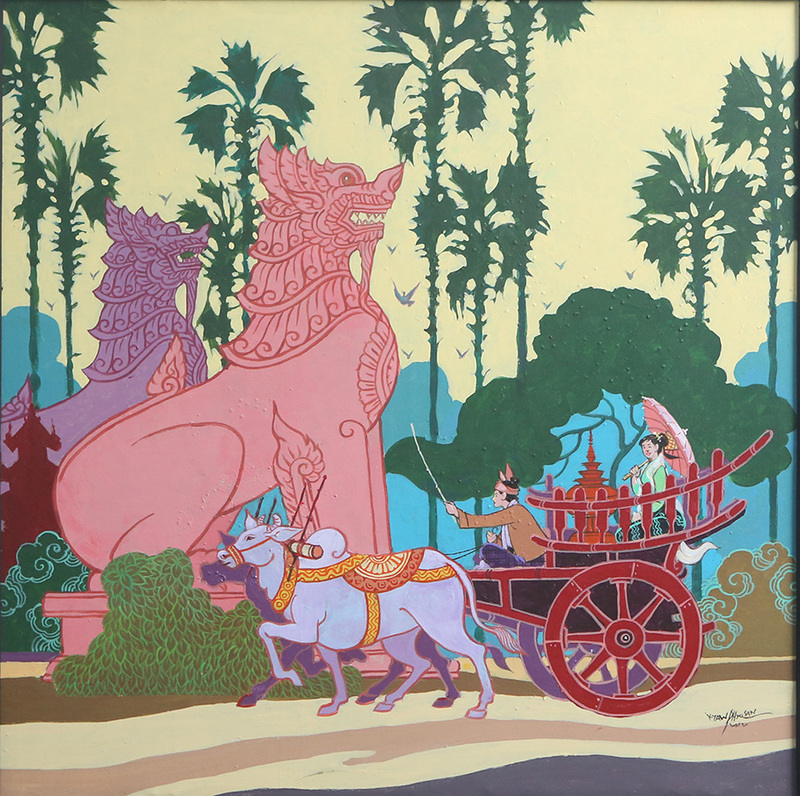 The Jataka tales include Temiya, the mute prince; Mahajanaka, the lost prince; Suvanna Sama, the devoted son; Nimi, the noble king; Mahosadha, the clever sage; Bhuridatta, the dragon prince; Canda-Kumara, the honorable prince; Narada, the great Brahma; Vidhura, the eloquent sage; and Vessantara, the charitable prince. “Most people are only acquainted with Mahosadha, Suvanna Sama and Mahajanaka among the Jataka tales. I painted the other lives to acquaint people with them. These tales provide a lot of lessons,” said the artist. His works on rural life include bells at Buddhist monasteries, an ox-driven oil-press, toddy palm workers and more. The exhibition will showcase a total of 36 paintings, priced between US$500 and $1,300. 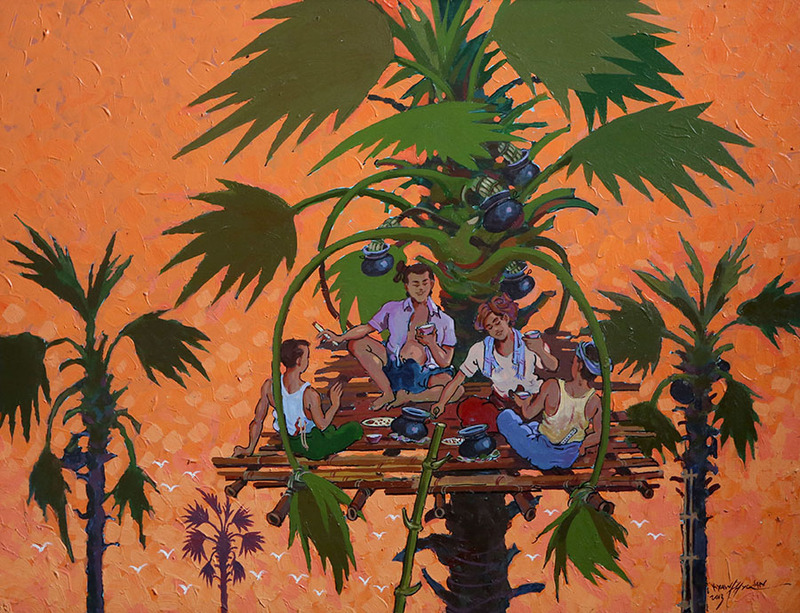 To depict the lives of Buddha, Kyaw Phyu San sometimes seeks advice from Buddhist monks and disciples who are well versed in Buddhism. “Buddha was born and attained enlightenment in India. 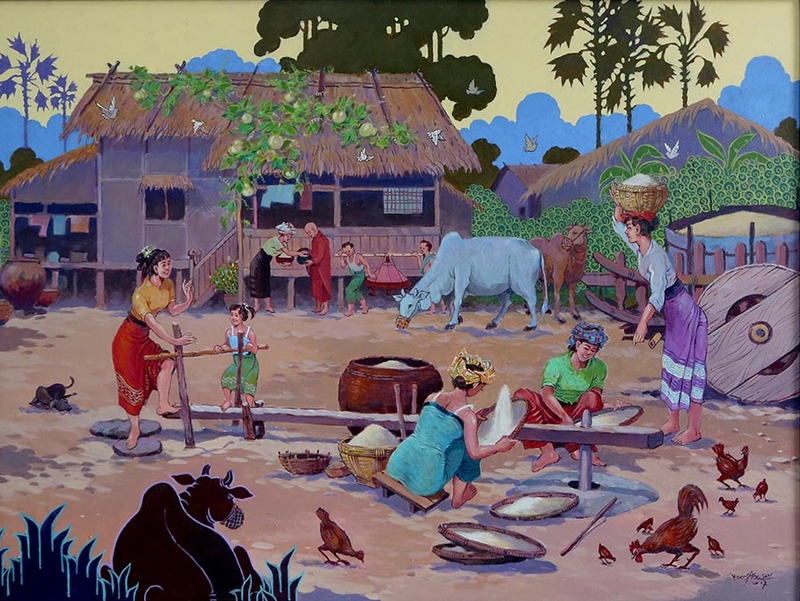 But in my paintings, I set him in the Konbaung Dynasty [of Myanmar],” he said.